This level has medium difficulty and you need to use good trick to complete this level. 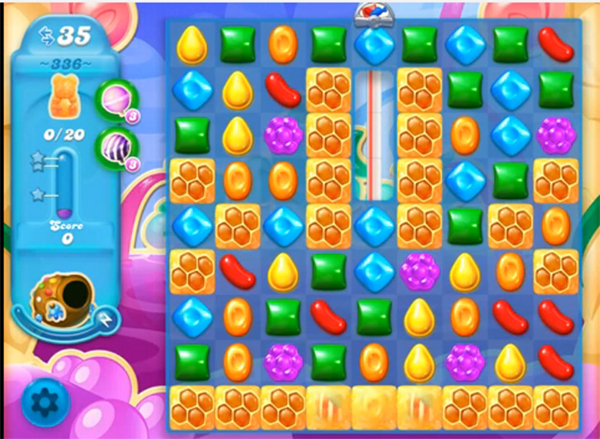 For this level you should try to play from bottom and break the honey blockers. As you have more candies to play then try to make special candies and combine special candies to each other like combine striped candy with wrapped candy to break more honey to save all bears within 35 moves. I read the tips on how to beat this level, but it says to do it in 35 moves I am being offered only 25 moves. Why is that?